After his daughter’s wedding, Robin’s father said to us that when giving Robin away, he understood for the first time how his parents felt when he left India at 18 years old. This was a wedding of high school sweethearts, and families that have known and loved one another for years already. There is a comfort between a pair who have shared all of their formative years together and still have grown in tandem. Bronwynn and Steven are each others best friend. After many years they celebrated their strong bond, supported by all of those who loved them while they grew into the pair they are today. 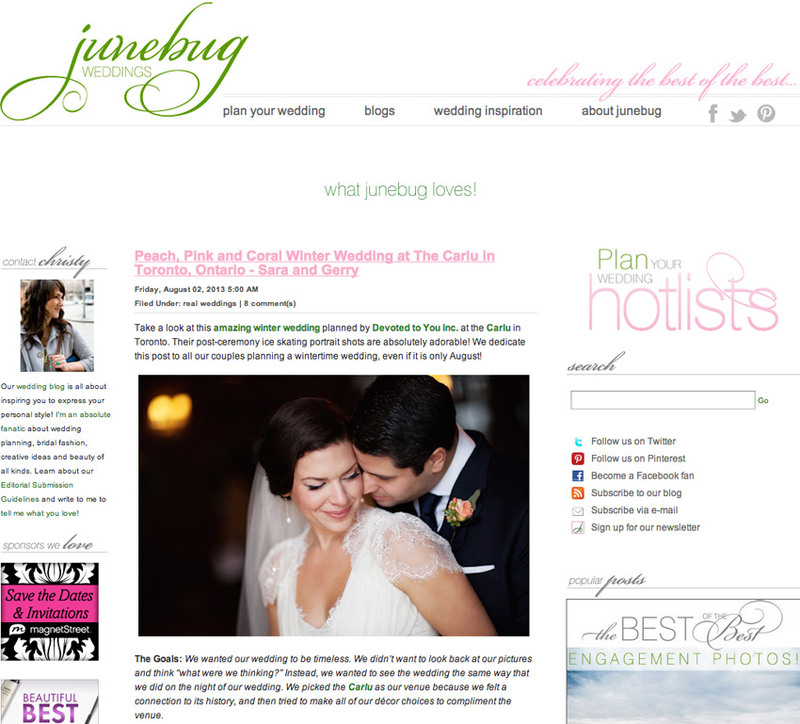 We’re excited that this past week Junebug Weddings featured Sara & Gerry’s winter wedding on their What Junebug Loves blog. 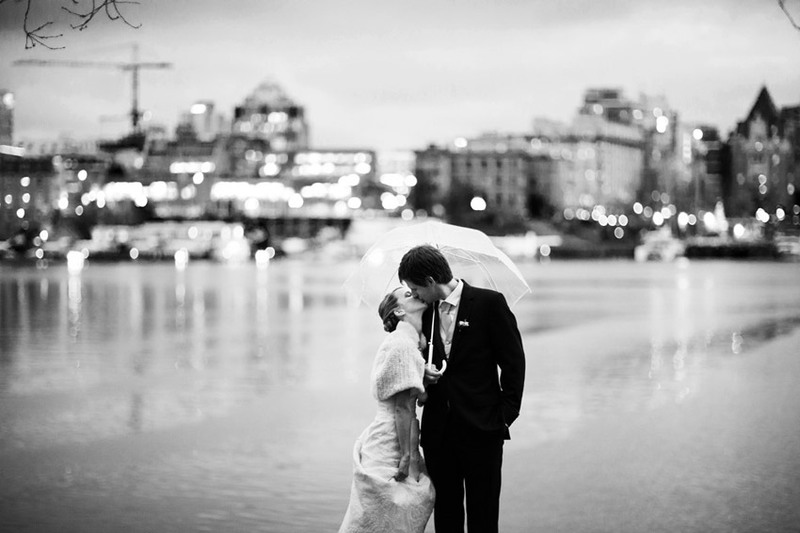 Carmen of Devoted to You Inc in Toronto did such a wonderful job on this wedding, and was instrumental in making this day as beautiful as it was! Regardless of it being January, we all traveled to Sara and Gerry’s ceremony coatless. It was cold, but you wouldn’t have noticed. Sara greeted her happy flower girls and ring bearers with the natural ease that teachers have with kids, and chatter and laughter ensued both inside and outside of the church. In the pews was Gerry, beaming. He hugged and kissed all his guests and doted on his Nona, all while quite literally, beaming. More importantly, he doted because he wanted to and not out of obligation. Just before the second church doors opened to let Sara and her father through for that walk down the aisle, they both started to tear up. Sara’s dad very quietly at first, and then Sara, because who can resist their Dad crying? At the end of that walk, those tears turned to giant smiles and now both Sara and Gerry are beaming. As you can guess, I was too and i’m sure just about everyone there. 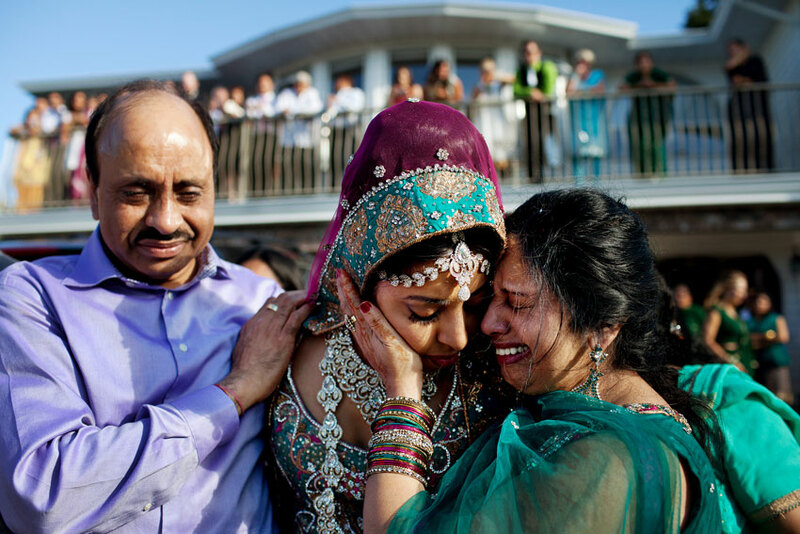 Just as you can’t resist a cry with your parents, who can resist such a happy bride and groom? The beaming just continued from that point on, from the bus to the podium, from the speeches to the dancing, to the very last drink served to the very last and dedicated dancers. And it continued through to the next morning where the stories were recounted with tearful laughter over brunch.